Spraying is often the most convenient way to apply CitriSurf to stainless steel. Use this refillable 22oz bottle with sprayer designed for the 2210 and 2310 formulations, especially handy with the 1 gallon or 5 gallon sizes. 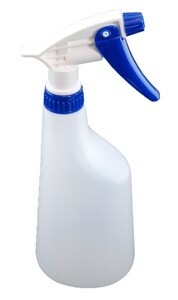 The Spray Bottle is sold empty and must be filled with CitriSurf 2210 or 2310, which are sold separately.